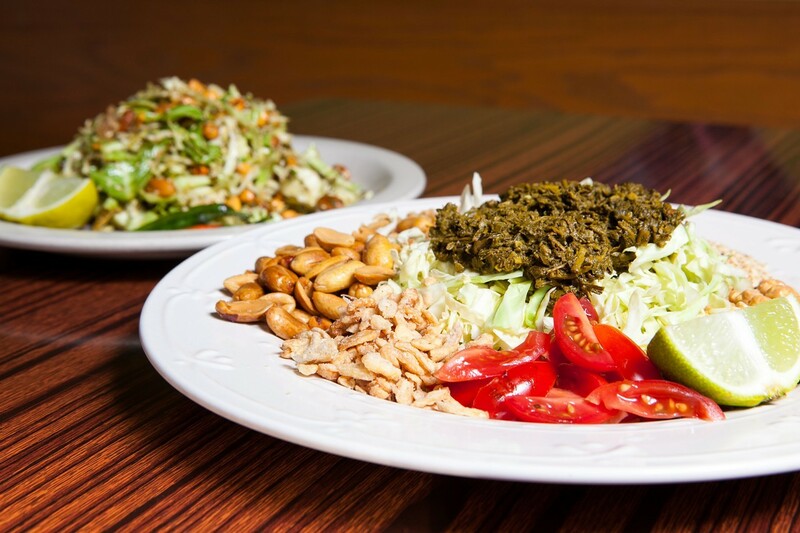 Grocery Cafe's funky tea leaf salad. 1) In what may be the unlikeliest restaurant collaboration of the year, the Starline Social Club (2236 Martin Luther King, Jr. Way, Oakland) — the highbrow bar-food specialist — will now serve mostly Burmese dishes by way of East Oakland hole-in-the-wall Grocery Cafe (2248 10th Ave.), Inside Scoop reports. Apparently, chef Austin Holey will assume a more advisory role at Starline, and, under the tutelage of Grocery Cafe owner William Lue, the bar’s remaining kitchen staff will start cranking out samosas and tea leaf salads (while keeping a handful of popular bar-snacky items on the menu). I have so many questions: To what extent will Starline retain/emulate Grocery Cafe's bargain-basement prices? Will the bar’s clientele embrace what is a rather sharp change in direction? Will they, for instance, embrace the funk of the funkiest tea leaf salad in town? Time will tell, but I know this much: Grocery Cafe is pretty much the best. 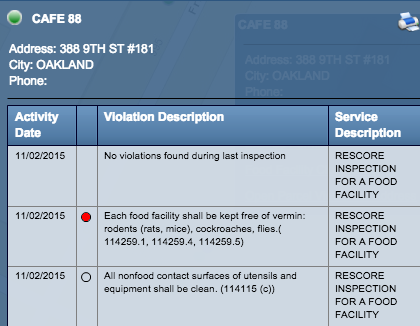 2) After a health department scare earlier this year, Cafe 88 (388 9th St., #181), the popular rice-plate slinger in Oakland Chinatown’s Pacific Renaissance Plaza, is closed once again — possibly due to what appears to have been an ongoing vermin issue (judging on the results of a November 2 health inspection). The busy lunch spot specialized in barbecued meats and served what was probably my favorite Cantonese-style roast pig in the city. At this point, it’s unclear whether the restaurant will reopen — as of this morning, the phone line was disconnected. 3) Get pumped, noodle slurpers: Itani Ramen (1736 Telegraph Ave., Oakland), Hopscotch chef Kyle Itani’s highly anticipated ramen restaurant in Uptown Oakland, is getting close. Eater reports that the restaurant is scheduled to open on January 18. Look for $12–$14 (tip-inclusive) bowls and a rotating selection of regional styles. Prior to this project, Itani had hosted a semi-regular late-night ramen pop-up that I really loved. 4) In other ramen news, Berkeleyside Nosh reports that Shiba Ramen, the fast-food ramen shop in the newly revamped Emeryville Public Market food court, plans to softly open this week. Read my story about how two ex-chemists plan to remove the unnecessary fuss — and expense — that they see in America’s trendy high-end ramen shops. 5) Oakland’s Rooz Cafe (1918 Park Blvd.) 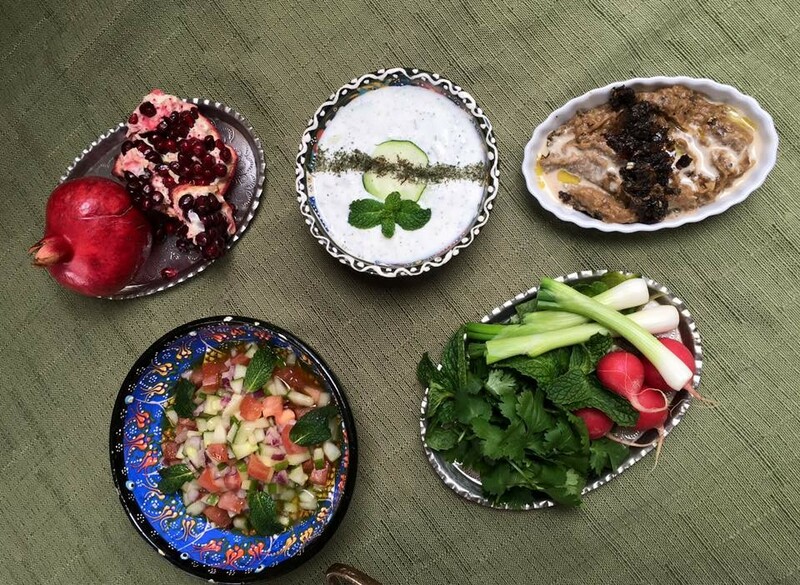 is hosting an Iranian pop-up dinner this Friday, December 11, starting at 8 p.m. The family-style meal is a collaboration between chefs Parisa Khodabakhsh and Peter Jackson. Tickets are $45. 6) The New York Times just gave Oakland its “What to Do in 36 Hours” treatment. Food recommendations include several Express favorites: FuseBOX, Miss Ollie’s, and the Swan’s Market food court. 7) ICYMI, Alameda now has a Lithuanian bakery, and Juhu Beach Club opened a new location in Hong Kong.